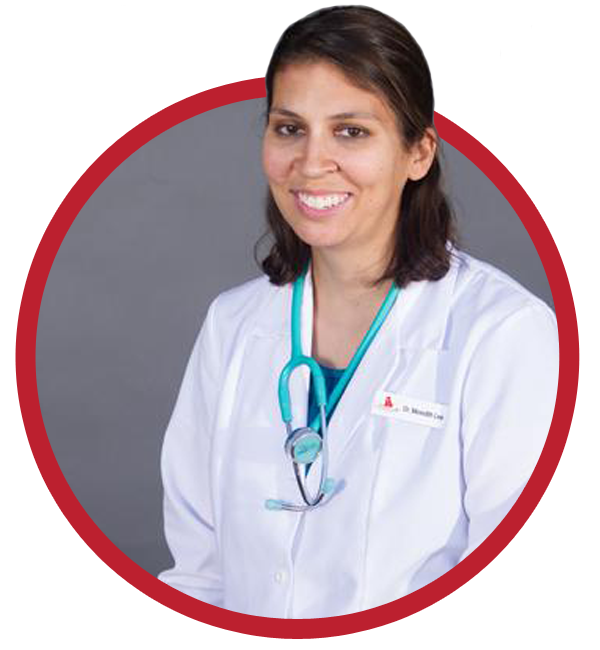 Dr. Lee began working at Anasazi Animal Clinic in January of 2015. She comes to Arizona via Kansas, where she attended Kansas State University and received a Bachelor’s of Science in Biology. She continued with her education at K-State by graduating from its College of Veterinary Medicine in 2009. Go Wildcats! Dr. Lee takes great pride in providing the best care possible for the pets we see and the people that bring them in. She also enjoys educating clients on the importance of preventative care and building relationships that enable her to help them keep their pets healthy and happy for as long as possible. Dr. Lee has worked as a small animal veterinarian since graduating in 2009 and spent one year in Stilwell, Kansas before moving to Arizona. 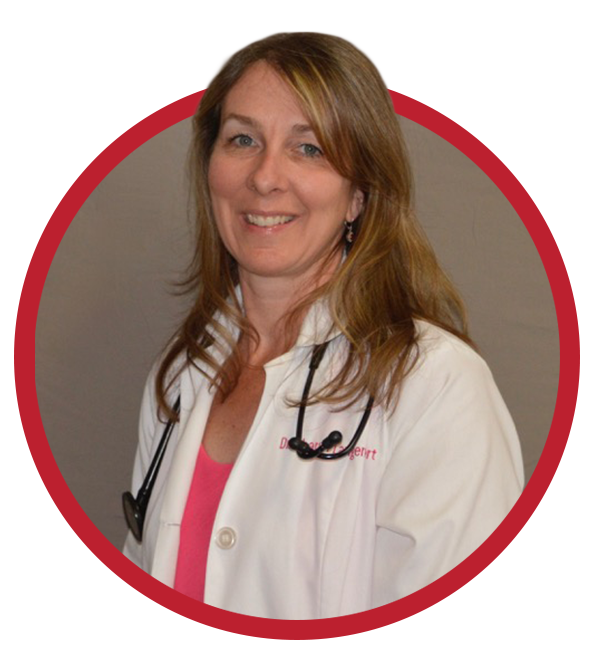 Dr. Lee grew up in Overland Park, Kansas and now lives in Gilbert with her husband and their two dogs, Penny, a mixed breed and Annie, a black lab mix. When not working she and her husband like to travel, see movies and go hiking. Dr. Lee loves the great staff and great clients at Anasazi. In addition to being able to build long-lasting relationships with clients, she is also devoted to helping the team develop to their full potential while having a fun working environment and providing the best customer service around. 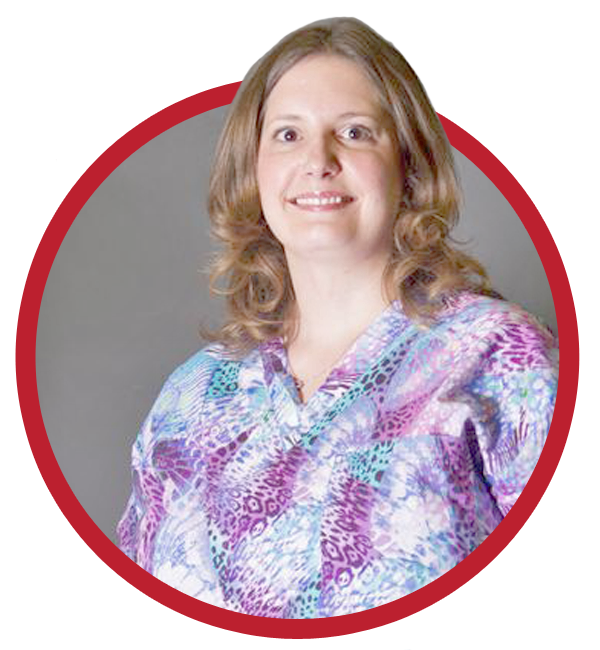 Michele started at Anasazi Animal Clinic in April of 2014 as a veterinary technician. Her promotion to office manager was a proud moment. She enjoys taking care of Anasazi clients and their pets and takes great pride in the positive reviews the practice has garnered online. Michele has been in the veterinary industry for 13 years, a career choice decided after her dog required a lot of medical attention. Helping him made Michele want to help other pets, too. 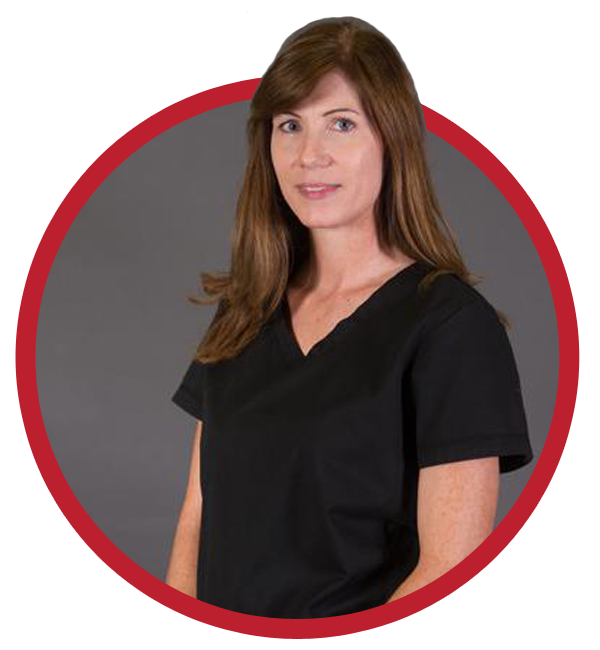 Michele has a veterinary assistant certificate from Pima Medical Institute and is a certified veterinary technician. Originally from New York, Michele, her husband and their two children now call Mesa home. When not at work, she enjoys spending time with her family – which now includes a grandbaby who she dotes on. Dr. Langeneckert didn’t always know she wanted to be a vet but it seemed to make sense by the time she was a teenager. She was the kid who tried to rescue stray cats in the neighborhood and save worms that were drowned out of the lawn. In high school, she became very interested in physiology and biology. Her high school offered a work for school credit program so she obtained a position at a local veterinary clinic. It was there that she saw her first surgery and became hooked. Having grown up in Michigan, she attended Michigan State University for both undergraduate work and veterinary school, graduating in 1994. Right after graduation, she looked for a place that didn’t have as much snow and relocated to the Phoenix area. Since then she has really enjoyed helping cats and dogs and the interactions she gets to have with their owners. There is a special place in her heart for her feline patients, but there is nothing like a soft nose and wagging tail of a dog as well. She and her husband have 2 kids, 1 cat and 1 dog. The kids like helping with the pets when they need medical attention. Maybe we have the next generation of vets here. We’ll see. As a Veterinary Assistant at Anasazi since August of 2016, Chris’s job is to help keep the hospital clean, care for the animals boarding here, check in patients and gather medical history for the doctor. Chris enjoys seeing pets healthy and happy, especially after an illness and credits the success of Anasazi to the incredible team he gets to work with on a daily basis. 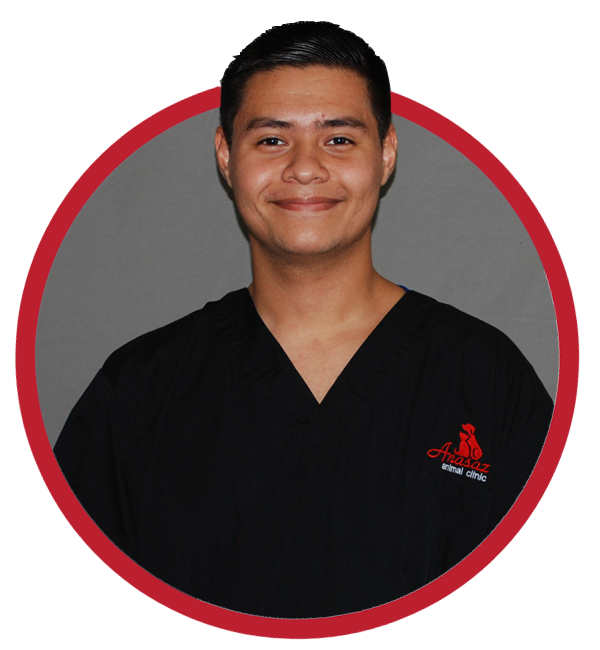 Since childhood, Chris has always liked the idea of working with animals and earned his certificate for veterinary assistant from the East Valley Institute of Technology. A Chandler, AZ, native, Chris enjoys spending time with family and friends, as well as reading comic books and playing video games. Making people laugh when they need it is another of Chris’s many talents. 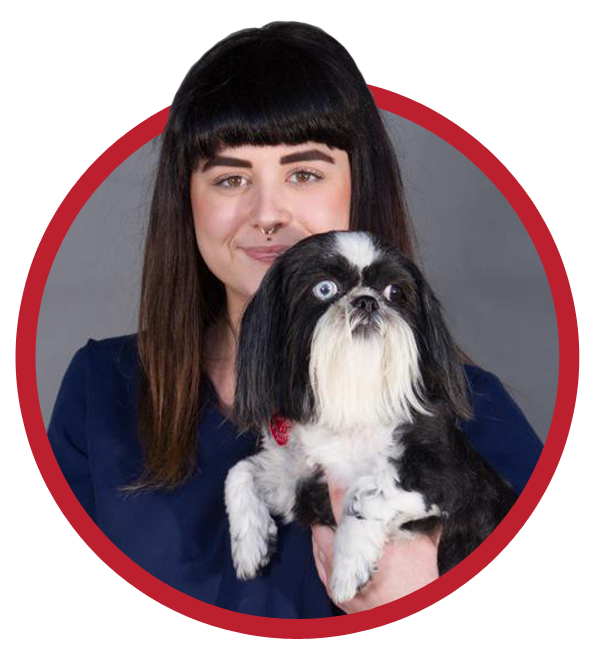 Caitlyn joined the Anasazi Animal Clinic family in December of 2014 after being in private practice since 2012. She loves spending time with new puppies and educating new pet parents on how to keep their fur babies happy and healthy! Caitlyn is most proud of how hard everyone at Anasazi works together as a team and all the lives they change. She attended the East Valley Institute of Technology, graduating in 2012 as a veterinary assistant. Arizona born and raised, Caitlyn currently lives in Phoenix with her boyfriend, their son, two crazy cats and four spunky dogs – one of whom was a stray hit by a car a few years ago. She saved his life by bringing him in, fixing him up and making him a part of her family! She is fond of saying, “Our home is full of love and fur!” When not helping patients, Caitlyn loves spending quality time with family, hiking, taking bike rides through the city and playing a good game of fetch with the pups. Lisa started working at Anasazi Animal Clinic in May of 2007 as a kennel assistant before being promoted to veterinary assistant. She has been in the field of veterinary medicine since 2003. Her passion in helping sick pets feel better drives her and she especially enjoys monitoring for dental procedures, cleaning the teeth and obtaining dental x-rays. Growing up, Lisa aspired to become a veterinarian, but soon discovered she liked the tech side of it more, so she decided to switch careers and go to school to become a CVT. Lisa has an Associate Degree in Science, as well as work in training. Her favorite thing is when a pet comes back for a checkup after being ill and she finds they are doing so much better. Originally from Denver, CO, Lisa now lives in Queen Creek with her boyfriend and two dogs. When not at the office, Lisa enjoys fishing, baking, cooking and hanging out with family. Speaking of baking, Lisa also makes gourmet cupcakes on the side. Brooklyn joined the Anasazi Animal Clinic family in June of 2017 shortly after she found her way into the veterinary industry. 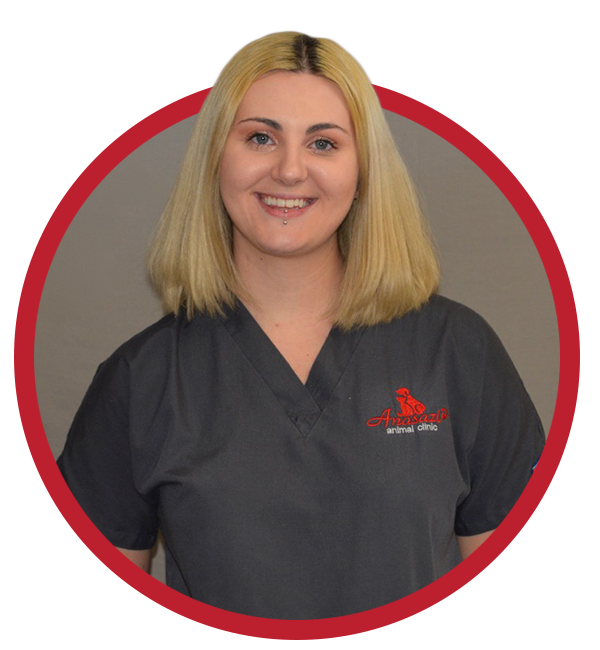 She enjoys coming to work with her new-found love for animals in order to care for them and she especially enjoys seeing a beloved pet overcome illness with the help of the amazing team here at Anasazi Animal Clinic. Originally from Idaho, Brooklyn moved to Arizona at a young age and now calls Mesa her forever-home. Recently married, Brooklyn and her husband live with their two crazy Australian Shepherds, Link and Ivy. During her spare time she likes to take her dogs to the park and cook, trying new recipes that she has her husband taste test.